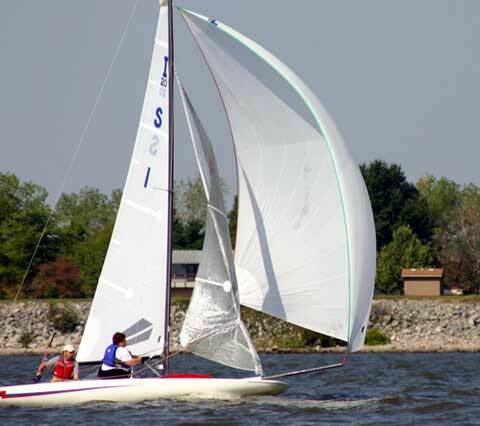 The Inland 20 (I-20) is a twenty foot, high performance, two person racing scow with an asymmetrical spinnaker that is carried on aretractable bowsprit. The boat sports twin bilge boards, twin rudders and a slightly tunneled scow hull that helps to promote reduced wettedsurface and planing. The I-20 offers all of the speed, excitement and "go fast" gadgetry of the much larger A and E-Scow, but only needs two people to effectively race or sail in any wind condition. 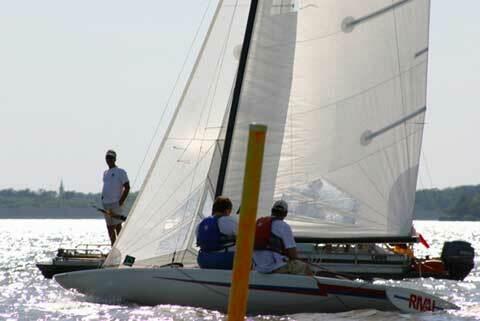 If you are not into racing, the I-20 is also a great boat to just day sail in. 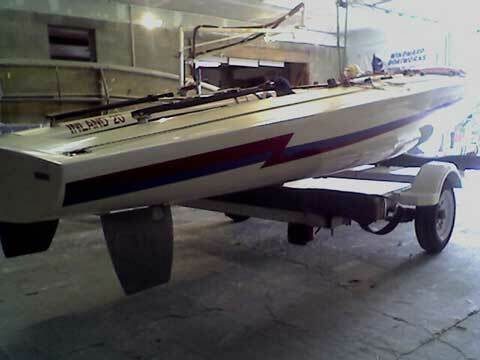 The scow hull is a very comfortable and stable platform for a family, yet is a quick boat. 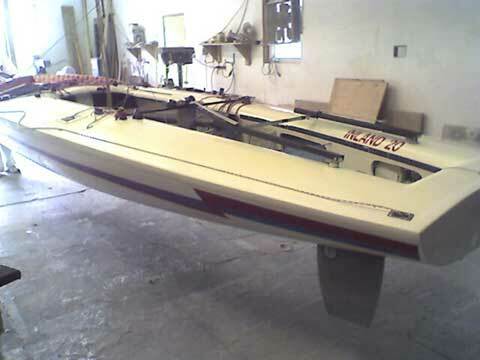 "Rival" is in excellent condition and is ready to race. 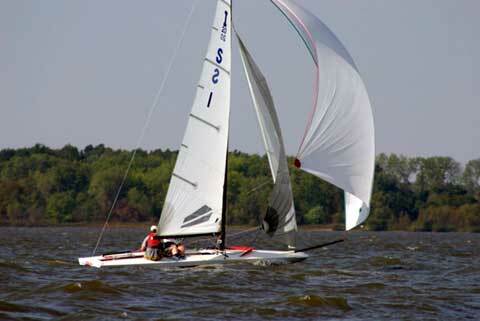 She is a fast boat and has performed very well on the club and national circuit. The red and blue graphics on the hull are vinyl and easily changed if you would prefer a different look.